What to do with friends in the car? 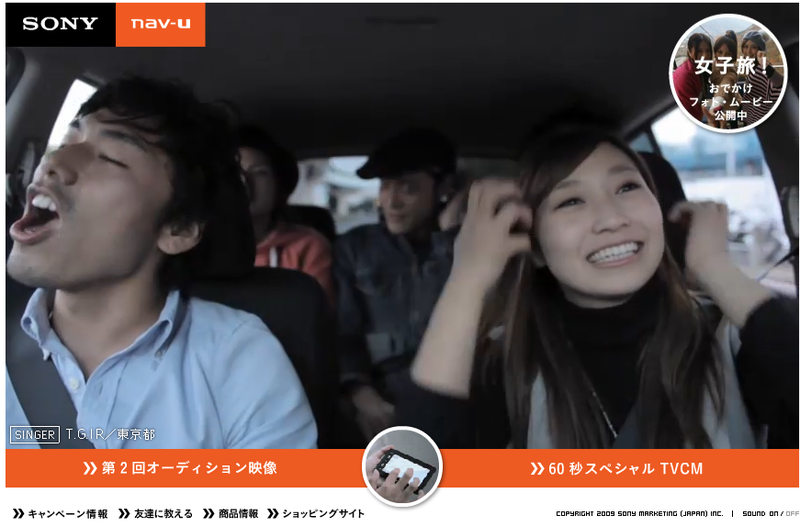 A new campaign from Sony in Japan to promote a Tom Tom type navigation system – sing in the car and upload to the site. It doubles up as an audition to be included in the final cut which will become the TVC to promote the new product. Pretty cool and fun stuff.